Home. I'll go home, and I'll think of some way to get him back! Do you recognize that line? It's comes from the last scene of the epic production - Gone With the Wind.
" After all, tomorrow is a Honu day?" Anyway, some Hawaiians (Kauai ans) jokingly use the saying: "Tomorrow is a Ho nu Day!" Now I know where that saying comes from and what it means.......... Any day at the beach could be a Honu day. There I was sitting at the beach reading a book when all of a sudden chatter and whispers. I looked up from the pages to see yet another creature emerge from the wetness. 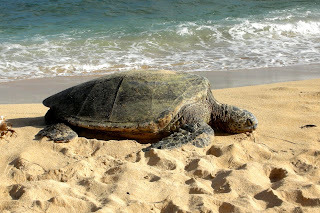 This time it was still another endangered species; A Hawaiian sea turtle, or Honu. Sea turtles, have been swimming the oceans for over 200 million years. And for the first time in all these millennia, six out of the seven species are either endangered and on the verge of extinction, or threatened to become endangered under the U.S. Endangered Species Act. You couldn't tell by looking at this guy (or gal). Looks like just another day at the office. I initially considered posting this story under the title of: " Things that come out of the sea!" Or "Another boring day at the Beach." But ultimately, I opted for the "Honu Day" idea. It leaves me optimistic....... Let's hope there's a Honu millennium for these creatures. Humuhumunukunukuapua'a or just humuhumu for short; meaning "triggerfish with a snout like a pig" Is the name of the state fish of Hawaii. Due to an expiration of a Hawaiian state law, the trigger fish ceased to be the state fish of Hawaii in 1990. On April 17, 2006, bill HB1982 was presented to the Governor of Hawaiʻi which permanently reinstated the reef trigger fish (humuhumunukunukuapuaʻa) as the state fish of Hawaiiʻi. The bill passed into law on May 2, 2006 and was effective upon its approval. So for a few years, the stae of Hawaii was without an official state fish. I saw quite a few of these little buggers while out snorkeling in Hawaii but I had to dig through the files of You Tube to locate this crafty "High School Musical" clip. Okay, I've been called a lot of things before but yesterday someone looked at me and said - "Ilio-holo-i-ka-uaua." I smiled and said: "humuhumunukunukuapuaa to you too! Have a nice day!" All jokes aside, while sitting at the beach the other day an "Ilio-holo-i-ka-uaua" or Hawaiian Monk Seal, swam out of the water and plopped down on the beach. It seems they have a reputation for partying all night - eating and such - and then finding a cozy beach to settle down for a nap. (Sound like anyone you know?) They actually look like they're sick or distressed but in reality, they're fine. They just look like a hung-over teenager on Sunday morning. It turns out that these seals are on the endangered list and are protected. You're not supposed to get near them or approach them. Shortly after this Monk Seal swam ashore, a few rangers roped off an area around the animal for protection. The seal napped for a few hours and then slumbered back into the water and disappeared. I know many of you think I've been behaving like a monk seal as well.... Hanging out in Hawaii and sipping Mai Tai's on the beach. But I assure you..... 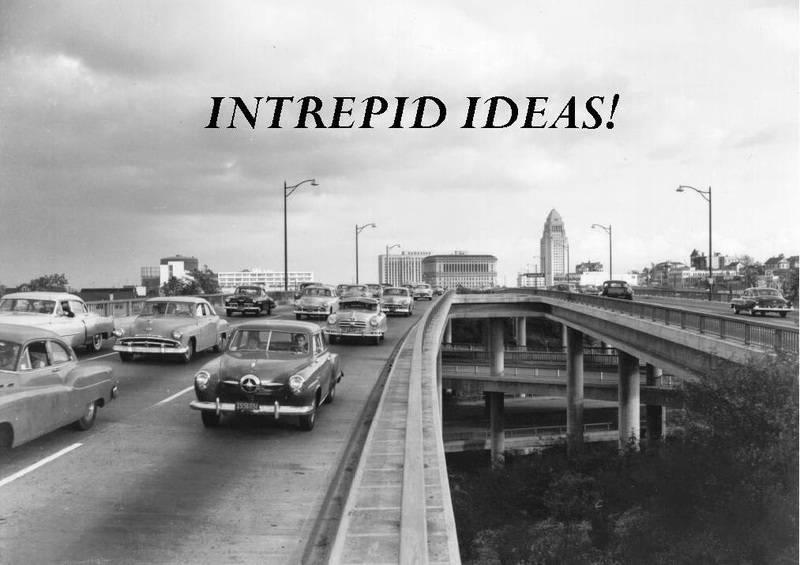 I've been constantly thinking about new blog ideas! Stay tuned for some Hawaiian history. Anyone know what humuhumunukunukuapuaa means? I've discovered a new hip cafe in Darling Harbor, (Sydney) Australia. It's really not that hip but the owners are nice, the food is good, and the coffee is great! What more could you ask for? The name of the cafe is Pulse. It's just off Union Street near the intersection of Union/Pyrmont. Up the street from the legendary Pyrmont Bridge Hotel. They specialize in a healthier menu. I usually have a breakfast sandwich made with spelt bread, avocado, and ham. But I just love their "Flat White" coffee! So if you find yourself in the neighborhood. Stop by and have one. They're delicious! Okay, I've had a few days of down time and I've been a bit remiss in my posting so I thought I'd liven it up a bit. I was a bit bored today and tired of listening to all of the political rhetoric so I started surfing a bit. And low and behold I ran across this love story. You all know I'm a sap for a good story. So here it is..... See if you can keep up! Does this story have the makings for a Lifetime or Oxygen channel movie or what? My compliments to Susan Baker - (Girl "C") for pulling this off. You can check out her site http://www.believeindestiny.com/ by following this link. There's also an uncensored version of the "Meeting" on her site for you voyeurs out there. Perhaps this story reminds some of you of the 70's and the days when streaking was made popular by the Ray Stevens song - The Streak. Or maybe you remember Will Ferrel in Old School with his version of the streak! Either way, keep your eyes open. You never know - streaking may just become the "in thing" again!